North Vancouver-Lonsdale residents are invited to come by for a 1-on-1 chat with MLA Bowinn Ma, no appointment required. Ask a question, talk about your priorities, or simply get to know your MLA in a casual setting. In order to maximize the number of people who can see MLA Ma during these sessions, an on-site clipboard with a sign-up sheet of 10-minute intervals will be used when necessary. If MLA Ma is already engaged in a discussion when you arrive, simply register for a time-slot and return at the time indicated. 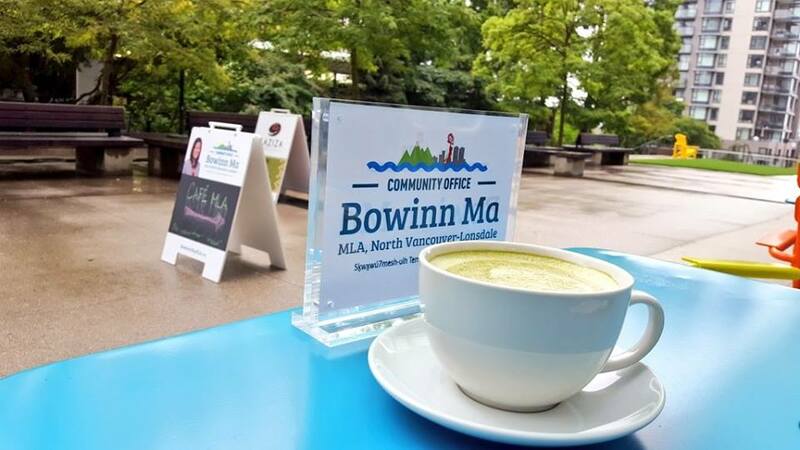 If you have a specific issue you require assistance with or would like to schedule a longer more formal meeting with MLA Ma, please contact us at Bowinn.Ma.MLA@leg.bc.ca or 604-981-0033.